What Remains of Edith Finch (game, 2017). An adventure video game by Annapurna Interactive/Sony Interactive Entertainment. Developed by Giant Sparrow, Annapurna Interactive. Official Trailer. 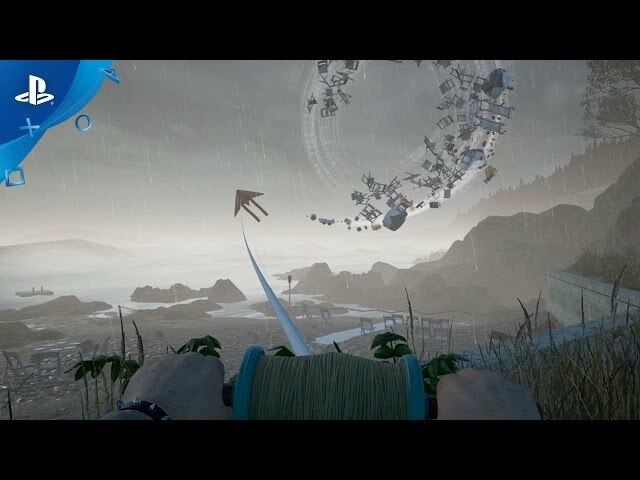 What Remains of Edith Finch is an adventure video game by Sony Interactive Entertainment and Annapurna Interactive, developed by Annapurna Interactive and Giant Sparrow. 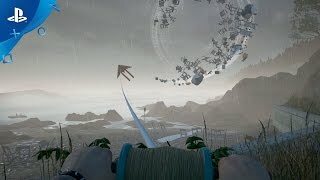 What Remains of Edith Finch - PlayStation Experience 2016: Stories Trailer | PS4. The game is a first-person exploration game, as the player explores the Finch house and surrounding wilderness through a linear series of rooms, footpaths and secret crawlspaces. Players are guided through the house by expository voice narration from Edith Finch herself, her words visually displayed to the player as part of the scene in a manner to direct the player's attention. Through the house they encounter a series of memorials and shrines dedicated to deceased relatives. Players make progress by interacting with these shrines and experiencing the death of these family members (or embellished or fictionalized accounts thereof) in various forms, including flip books, cutscenes, and first-person minigames. As Edith Finch, Jr., the youngest child of Dawn Finch and the last remaining member of the Finch family, players explore the Finch house and surrounding wilderness through a linear series of rooms, footpaths and secret crawlspaces. Players are guided through the house by expository voice narration from Edith herself, and encounter a series of memorials and shrines dedicated to deceased relatives. Players make progress by interacting with these shrines and experiencing the death of these family members (or embellished or fictionalized accounts thereof) in various forms, including flip books, cutscenes, and first-person minigames. What Remains of Edith Finch was scheduled to be released by Annapurna Interactive and Sony Interactive Entertainment on April 24, 2017, on April 25, 2017 and on July 19, 2017.